There are a lot of people who want to see the inside of my closet, apparently. Sara’s too. I decided that I would start taking outfit of the day photos when we can so people can see all of our sartorial choices. The last few weeks have been very busy so we didn’t capture every outfit but here are the ones we did. 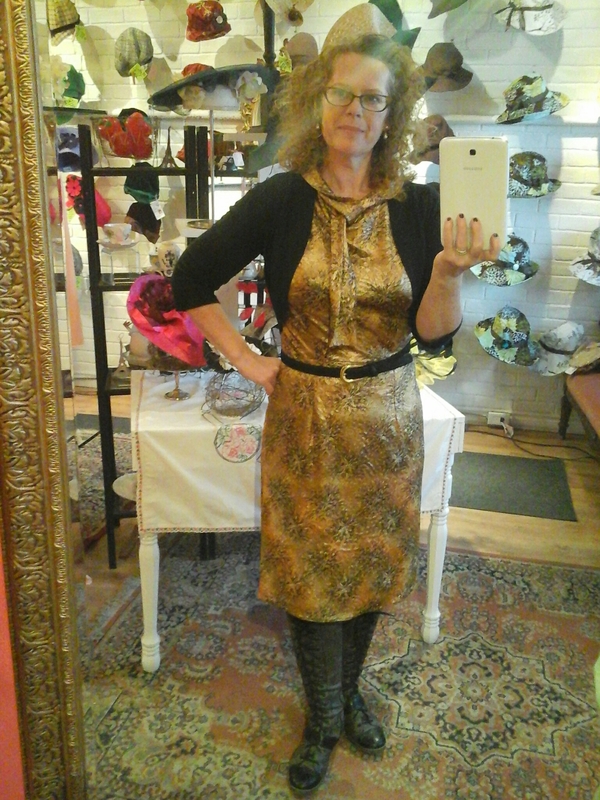 This is a 1960s style dress in knit lamé that I made near chirstmas holidays. Thrifted belt and sweater. Reikers boots. A thrifted outfit except shoes, skirt and beret. The shirt is the kind of 1970s does 30s shirt I like so much. 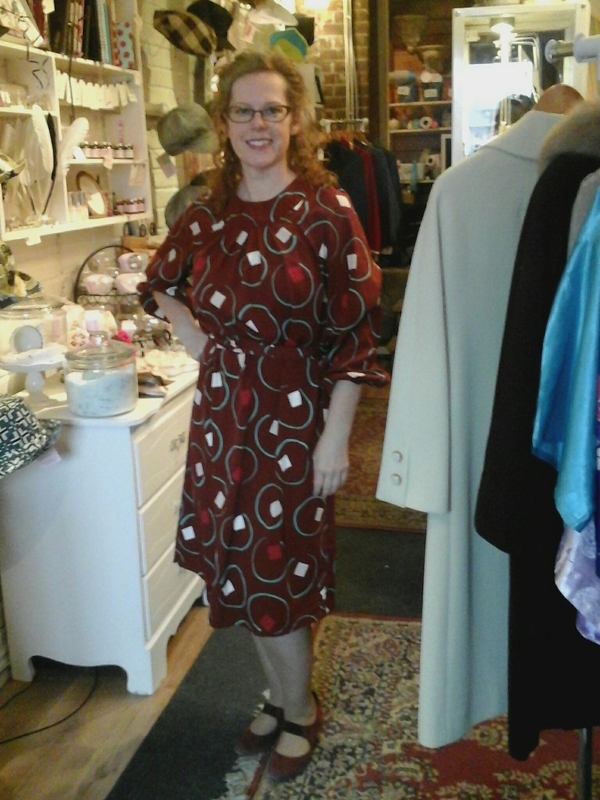 The skirt is one I made several years ago patterned from a suede one Sara owns. The pattern is too big now so it will need to be adjusted. A dress I made years ago that I love. I believe it’s a Macalls pattern in a poly that is a bizarre colour combination. There isn’t a shoe or hat that matches! 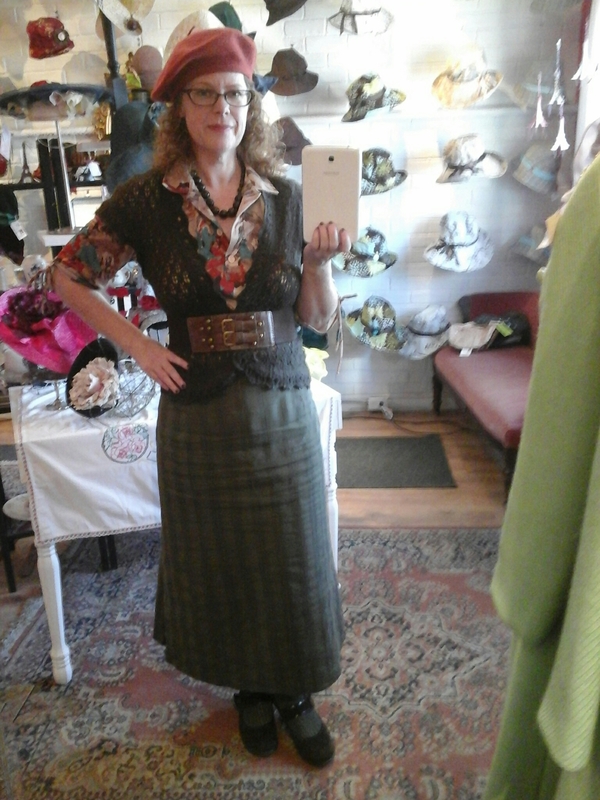 This is Sara in her quasi Edwardian outfit. All thrifted except hat which is one of our cloches and the shoes. Shoes are Brodawka from Toronto. 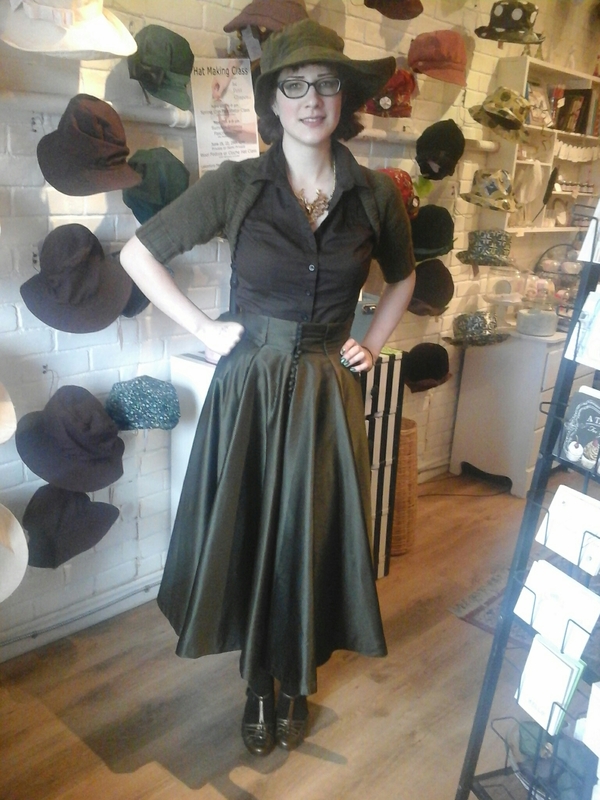 Finally Sara in a 1950s dress that had rotten underarms so she turned it into a skirt. The shrug I knitted for her. The shirt is thrifted as are the awesome bronze shoes. The hat is one of our Ambler hats and the stag head necklace is from a local company we carry called Loved. These shots are all in the studio. Posted in In The Shop and tagged canadian fashion blog, fashion, hat shop, Hats, Le Petit Chapeau, Millinery, outfit of the day, sartorial, vintage style. Bookmark the permalink.